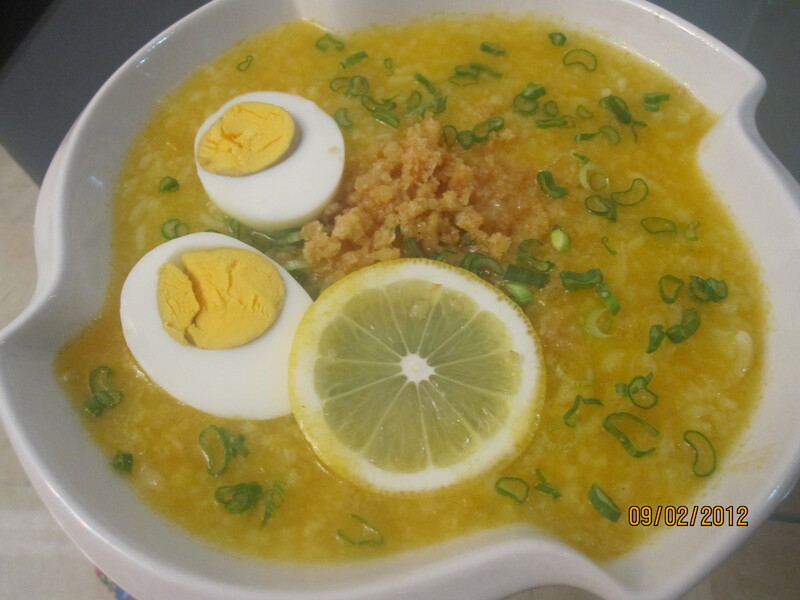 Arroz Caldo (literally translated as warm rice) is a type of congee (or lugaw) of Chinese origin. The use of chicken (cut into individual servings) makes Arroz Caldo different from other congees. 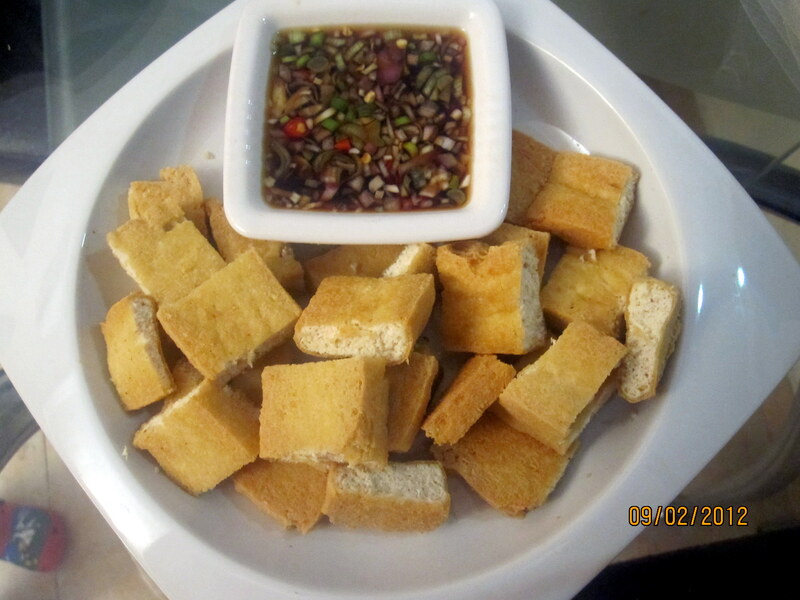 Toasted garlic, onion leaves, powdered asuete or ananato seeds are added to enhance the flavor, color, and aroma of the dish. It is also best recommended to pair arroz caldo with fried tofu in vinegar sauce. This lugaw is usually served during breakfast, but for us it can be eaten at anytime of the day when my husband wishes to, lugaw is just one of his all time favorite that it is always included in the list of my menus of each week. In a pot pour in water and bring to a boil with rice & glutinous rice for at least 20 minutes or until soft, then set aside. Dash-in some ground black pepper. Add the fish sauce and pour into the pot of cooked porridge, then pour in asuete to add color. Stir occasionally and simmer until the rice and chicken are completely cooked (about 10 minutes more). Add salt & msg. to taste. Serve hot with garlic, minced spring onion leaves, lemon, chicharon and boiled egg. Arroz caldo can be best eaten with fried tofu in a sauce of vinegar mixture.